The earlier you surely ask, what types of applications and what is this sysapp? To be precise, this is the application updates other applications already installed on Windows mobile phone. So you don't need to check the application on by one in Store windows. Has had enough of this Applications can all be updated. All of this depends on the settings of your mobile, because it has two options: automatic and manual selection. This application can be found in the Windows store, very useful for the application you want to always be updated regularly. Because no matter what the application, there must be a weakness. Either "force close or not open/not running". From this application is it, can all be resolved. 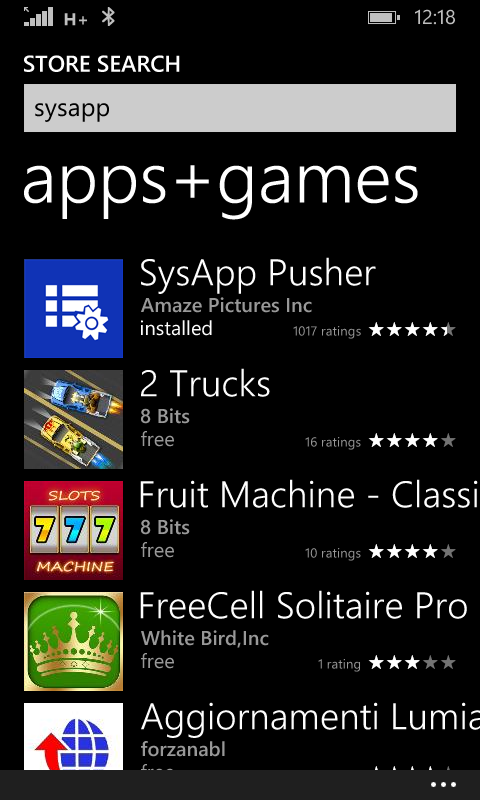 To search, enter the windows store and type in the search field: "sysapp". Do not need an account, simply download, install and run sysapp for update application for Windows phone. You are on the website page WINDOWS MOBILE PHONE - setting and Upgrade. SysApp Pusher With the link URL http://hand-uk.blogspot.com/2015/02/sysapp-pusher.html for this articles, you can bookmark or share to any. Our expectation that Windows smart phone users, can understand and know about OS Windows phone. SysApp Pusher Is a link for you, How to use the pure smart phone.